This is the last day to save up to 30% on your hotel, tickets and transport on your holiday to the Disneyland. 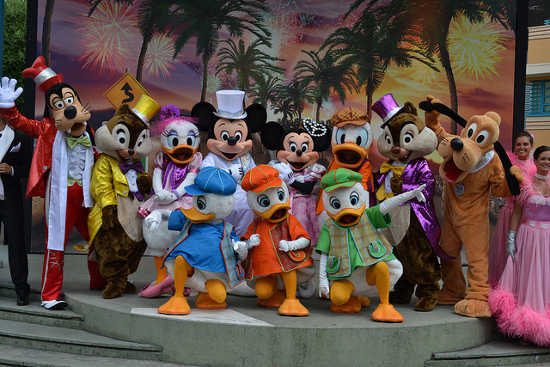 Make the most of this spectacular offer whilst it lasts, a holiday to DisneyLand when the Magical Moments Festival in full swing will be one of the highlights of your year. To further this offer, kids under 7 willl get free hotel accommodation and park tickets. If this is too short notice for a booking, the Magical Moments Festival is only halfway through; it doesn’t end until early April 2012 so kids and adults alike can still make the most of some of the attractions limited to the Magical Moments Festival. Mickey’s Magical Celebration is certainly not to be missed as Disney’s Lord and Master displays his sorcery, wand in hand for an unforgettably magical performance to dazzle and amaze. All the others are there as well from classic Disney to new generations favourites. While it might be a tad too late to take part in this year’s Amsterdam marathon, there’s still plenty of time to hop aboard P&O Ferries and go on a cheeky jaunt to the Netherlands to take in this great event as a spectator. 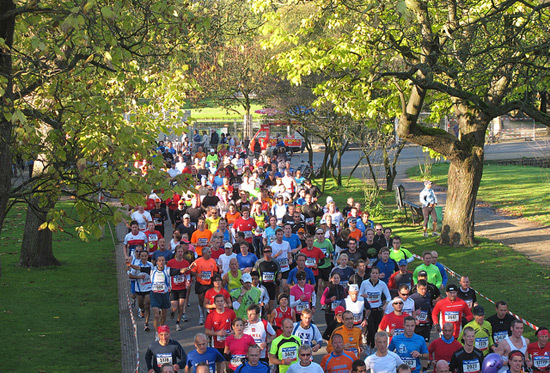 The 2011 Amsterdam Marathon takes place on Sunday, 16th October and will feature runners from over 50 countries. Last year, Ethiopia’s Getu Feleke broke the track record with a time of 2.05.44. This year’s Amsterdam marathon route (it changes every year) is a great way of discovering the city. Great spots to cheer on the runners include the city’s Rijksmuseum (National Museum) on Museumplein, the Vondelpark with its numerous ponds and variety of trees, and the nature reserve along the Amstel river. As befits a sporting event like this, the marathon starts and finishes in the Olympic stadium. You can go to Amsterdam and take in the marathon’s atmosphere by using P&O Ferries to take you to Rotterdam, from where it’s only half an hour’s drive to Amsterdam. If you have a taste for Belgian beers but are tired of mass exported ones you might like to head over to Guame on the 3rd weekend of October, the 15th and 16th offer you the chance to meet some of the smaller ale brands and their master brewers in person. This is the 10th anniversary of Brassigaume and previous events have all blossomed a fun and friendly atmosphere, lots of interesting beverages to be had in an environment that any beer-lover wouldn’t want to miss. There is also an international input on Brassigaume so you’ll be able to some ales that aren’t brewed in Belgium, the resident chef Jean-Claude Depeauw heads up the food tent so you don’t have to drink on an empty stomach. This festival starts at 2 o’clock on 15th October and finishes at 8 PM on Sunday 16th. Getting there is well signposted for travel by car or a mere 5 minute from Marbehan station. To get to Belgium’s Brassigaume festival 2011, take a P&O Ferry from Hull to Zeebrugge and your just a short drive away from some of the best kept secrets of Belgian beer. 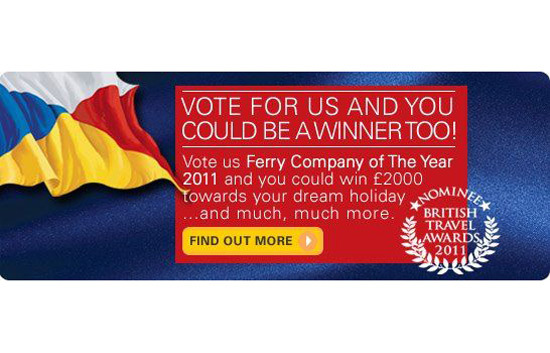 P&O Ferries are very proud to be nominated for not one, not two, but three British Travel Awards. They’re up for Best Cross Channel Operator (UK to France), Best Ferry Operator (non cross channel), and Best Overall Ferry Operator of the Year, while P&O Cruises is up for, amongst other awards, the Best Overall Cruise Line of the Year. Not a bad haul at all, right? Satisfied P&O customers (of which we’re sure there are many) can help P&O Ferries to complete their hat-trick by registering and voting in the awards. As an extra incentive, the British Travel Awards’ partners have come up with a basket of fantastic prizes. Every registered voter is automatically entered into the prize draw, whose prizes include seven days free car hire from AVIS, a 14-day first class tour of Turkey for two, and, sponsored by P&O Ferries, either two return crossings for up to four passengers from Hull to Zeebrugge or Rotterdam or three return crossings for up to nine passengers from Dover to Calais (all trips with a car). To enter this great prize draw (there are many more prizes on offer) and support P&O Ferries in the British Travel Awards, go here and click ‘vote’. Best of luck everyone! This is another one for all of you who are into their ships and maritime history: At a shipyard in Rotterdam, a warship that sank during the 18th century is being rebuilt, piece by piece, under the gaze of the public. De Delft was part of the Dutch navy and used to protect merchant ships in European waters, as well as on a few missions against slave traders. It was captured by the British (who were at war with the Batavian Republic – a brief Dutch republic proclaimed after a coup d’etat in 1795 – at the time) in October 1797 and sank a few days later. Some pieces of the De Delft shipwreck were found in 1977, and reconstruction started in 2001. The replica is still being built today, and visitors can pop down to the shipyard and admire the craft involved in re-building an historic warship to its original proportions (63m length, 57m height). The reconstruction is being carried out by volunteers and students, and the ship isn’t expected to be fully restored for another few years. Nevertheless, it is a hugely impressive sight and you could do worse on your next P&O Ferries visit to Rotterdam than to check out the surrounding exhibitions and film presentation. There are also guided tours offering information about the ship’s history and the process of reconstruction. 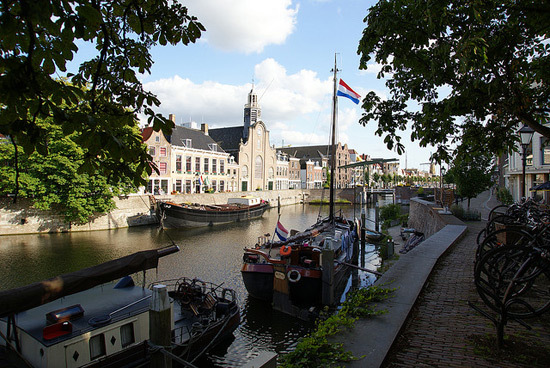 As it happens, the area surrounding the shipyard, Delfshaven, is a lovely part of the city to have a wander around afterwards, so you can sit down in a bar after viewing the De Delft. 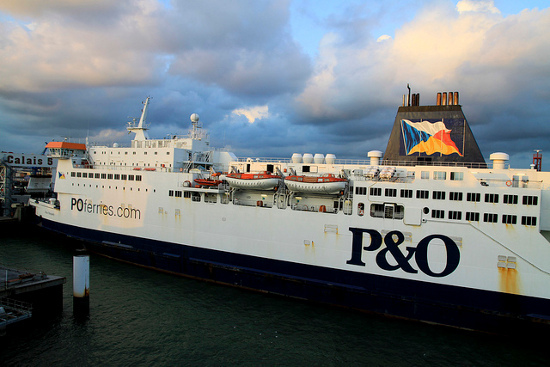 P&O Ferries is offering minicruises from Hull to Rotterdam for only £72 per person. Go to P&O Ferries minicruises to check out the offer and book your trip to Rotterdam. P&O Ferries is offering a couple of excellent deals for the winter months, if you fancy a break to the continent between 1st October and December 29th you’ll be able to travel in luxury at discounted prices with P&O Ferries. At just £72 per person you can catch either the Pride of Rotterdam or MS Pride of Hull and cross the Channel in style in a 10 hour mini cruise dropping you off at Bruges, Rotterdam or you could take the Coach transfer and head on in to Amsterdam. The Hull minicruise is going to run a 2-for-1 deal, an excellent opportunity to holiday with your loved one and not break the bank. To keep you entertained on your crossing these ferries are well kitted out with a casino, cinema, live cabaret and huge shopping sections. They have 546 en-suite cabins, as well as state rooms and standard suites; the deal opens on the 1st of October. For more information on when to make your bookings watch this blog, we can keep you updated on all the tourist events you won’t want to miss, including Christmas Markets and festivities. For those of you who haven’t brushed up on their European Cathedral history, Notre-Dame de Reims is 800 years old, it would have been older had it not burnt down: It had to be rebuilt after fire damage in 1210 AD. The new and improved structure didn’t fare much better with the 100 Years war and successive World Wars in the early 20th century. Nevertheless the Cathedral is one of the great masterpieces of the Middle Ages. The façade is covered with statues and statuettes, and its history of damage and reconstruction gives it a very definitive and unmatched profile. Celebrations for Reims Cathedral’s 800th birthday have been running since May 6th and come to a close on 23rd of October. Events have included exhibitions, conferences, street performances and lightshows so the public can admire the 81m Cathedral at night. This structure has been a World Heritage site since 1991 and is a major site of European History. It was host to the coronation of 25 French kings including Joan of Arc crowing Charles VII. To mark such an auspicious birthday, six new stained glass windows have been designed by Imi Knowbel and installed in the apse of the cathedral. The cathedral at Reims attracts near half a million tourists annually, but in such a special year there is a spirit of celebration which will really allow you to make the most of this magnificent feat of human engineering. 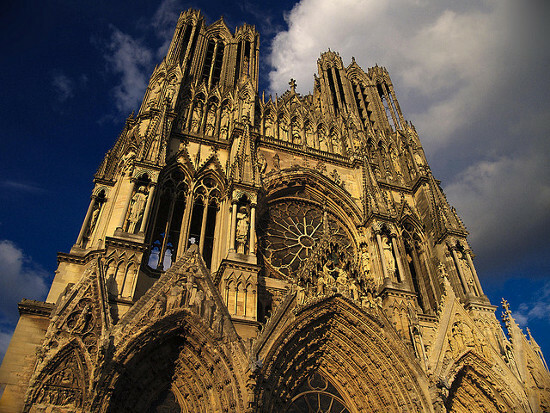 Reims is just a short drive from Calais, P&O Ferries can get you across the channel on their frequent service with a car and the kids you can visit the cathedral that has stood for 8 centuries. For music fans, the onset of autumn can mean only one thing: the festival season is over. Or is it? In Ghent, Belgium, a festival dedicated to the finest in electronic music is taking place in November, and it looks like it will be an occasion no techno fan can afford to miss. 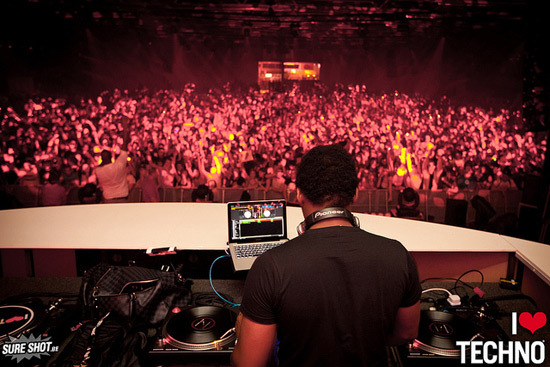 The I Love Techno festival celebrated its 15th birthday last year, with established purveyors of cutting-edge techno (including Berlin minimal DJane Ellen Allien and ex-Bloc Party singer Kele Okereke) on hand to provide the appropriate soundtrack. This year, the line-up includes techno luminary Paul Kalkbrenner, electroclash pioneers Boys Noize, UK pop-step upstart Katy B, and the Californian master of party Steve Aoki. The festival will play out on 12th November at the Flanders Expo complex over a single night, so be prepared to make it count if you do end up going. To get there, you can take a P&O Ferry from Hull to Zeebrugge, from where it’s only a 30 mile drive to Ghent. There is free parking at the festival site. For ticket information and a full line-up, check out the official festival website.